ALD Chinese School offers lessons in traditional Chinese instruments . ALD Chinese School's unique curriculum stresses the importance of cultural knowledge, such as Chinese instruments and music, as well as grammar and vocabulary, to insure all ALD students are truly fluent in Mandarin Chinese. ​The music teachers at ALD Chinese school are no ordinary music teachers. They are renowned musicians, composers, and recording artists who studied under prominent masters at the most elite conservatories. They perform at world class venues such as the Lincoln Center in New York and have composed scores and soundtracks for major entertainment concerns including the Walt Disney Company. 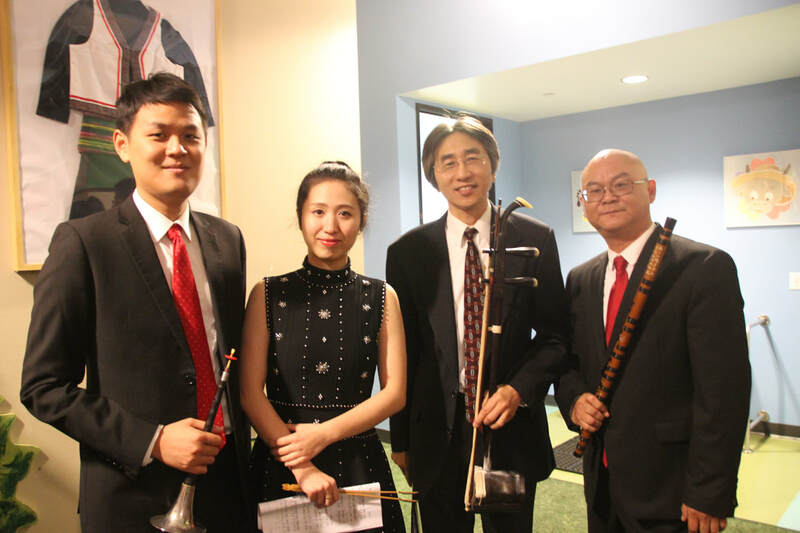 ALD Chinese School music teachers have performed with major orchestras in the United States, China, Philippines, Australia, Hong Kong, Taiwan, Singapore, Thailand, among other places. Our music teachers are also expert educators who are members of the California Music Teachers Association and have decades of teaching experience including authoring popular music textbooks. 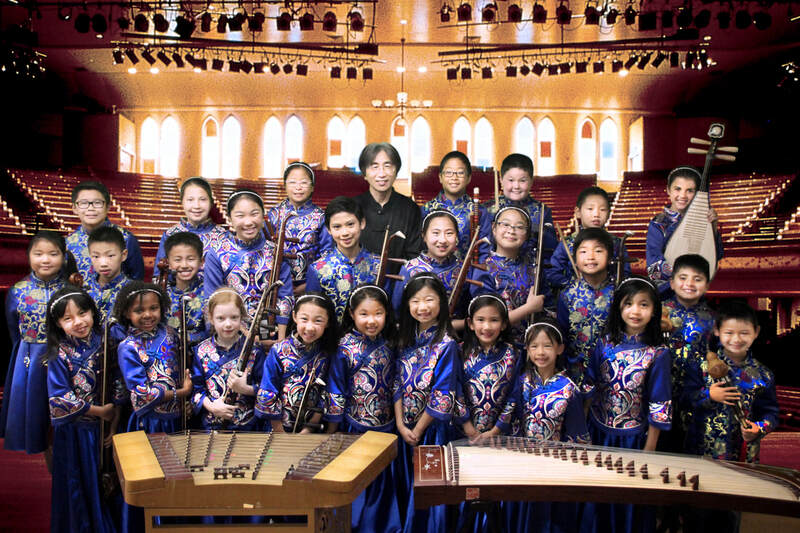 Their intimate knowledge and expertise of both Western and Chinese music and instruments give them the unique ability to synthesize Chinese and Western music systems which serves to broaden the musical horizons of A Little Dynasty Chinese School students. All of the amazing music teachers at ALD Chinese school began their musical journeys as young children. After achieving personal and professional success, these famous musicians now devote themselves to teaching A Little Dynasty Chinese School students solely for the purpose of passing on the heritage and knowledge of traditional Chinese instruments and music, as well as a passion for music itself, to a new generation, just like themselves when they were young. Mr. Yunhe Liang is an award winning musician, conductor, and composer. He has performed on stage and television since age 10 at venues including the LA Music Center and the Hollywood Bowl. Mr. Liang composed the erhu theme music for Shanghai Disneyland. Mr. Liang is a graduate of the Central Conservatory of Music in Beijing. Mr. Zhiming Shu is a theatre musician whose work has been featured in numerous stage productions and television shows including Shanghai Yue operas. He and has performed live at venues including the Lincoln Center in New York. Mr. Shu is a graduate of the music department of the Shanghai Theatre Academy. Ms. Jiale Yi is a recording artist and director of the Chinese Dulcimer Association. Her work has appeared in numerous television shows and music CDs. Ms. Yi is a graduate of the Tianjin Conservatory of Music and has studied at the Central Conservatory of Music. 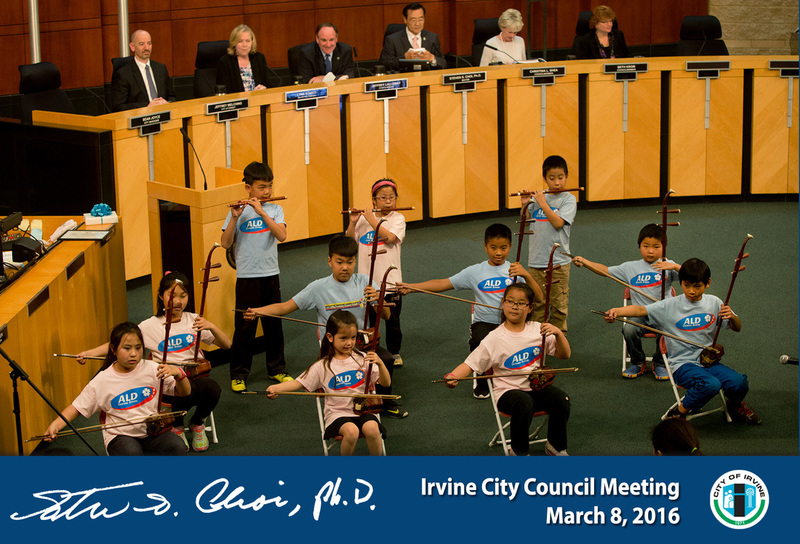 Ms. Jennie Hu is an award winning musician of plucked string instruments. She comes from a family of artists in Shanghai. She studied under professors from the Shanghai Conservatory of Music and is the author of textbooks on the zither and pipa. A Little Dynasty Chinese School students who are orchestra members participate in a weekly ensemble class where they have fun with each other while learning important ensemble skills as well as individual instrument technique from renowned musicians and educators. 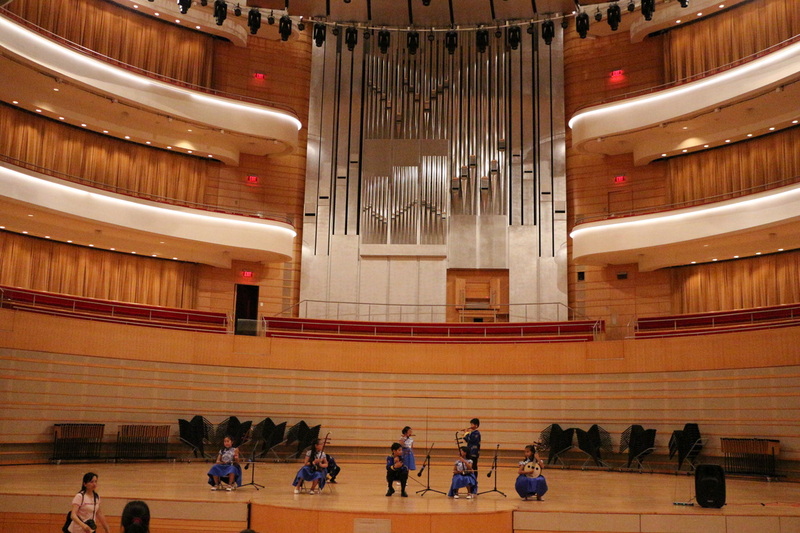 A Little Dynasty Chinese School Chinese Children’s Orchestra is a fully acoustic symphonic children’s orchestra playing traditional Chinese instruments whose repertoire is specially arranged by ALD Music Director Mr. Yunhe Liang. Mr. Liang, an accomplished composer and educator of both Western and Chinese music, custom writes the performance music for each orchestra member based on the instrument played and skill level of the orchestra member so that the full orchestra can perform with stylistic integrity, as well as melodic, harmonic, and rhythmic accuracy. 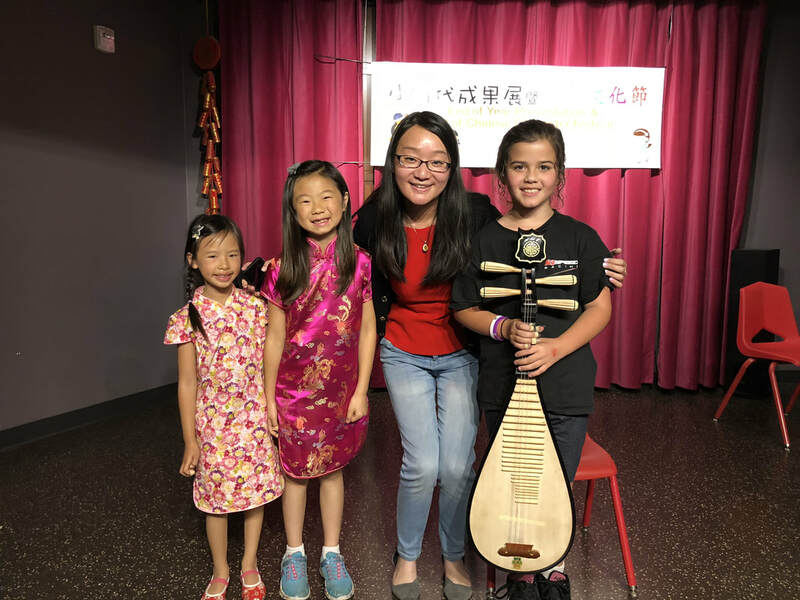 ALD's Traditional Chinese Instrument Lessons are currently offered on Monday, Tuesday, and Wednesday afternoons as an optional elective to our After School Academy.